Dr. Kim worked on her Bachelor of Science degree in Edmonton, Canada while playing volleyball for the Grant MacEwan College. “I would see a chiropractor on a regular basis to keep my body in top shape and prevent injuries,” says Kim, “Once you understand more about how the body works, it just makes sense!” Kim participated in an exchange program in Perth, Australia, and it was there she decided chiropractic school was the next step in her education plans. Kim was accepted to Palmer College of Chiropractic in Davenport, Iowa and, after four years of intensive study, she finished her chiropractic internship back in Canada. Only months before graduation from chiropractic school, Kim crossed paths with a classmate, Jeff. She knew her plans to return to Canada were about to change. At 9am on the morning of their graduation day, Kim and Jeff were married just a few blocks up from their school. Four hours later they walked the graduation stage and became doctors of chiropractic together. Their sudden change in plans took the newlyweds over to Ireland, where they practiced for two years. Dr. Kim focuses her time on working with women and children. 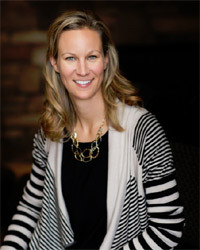 She is passionate about educating her practice members about the importance of chiropractic care for kids to give them a healthier start in life. Our philosophy is based on the concept that a proactive approach is more sensible than a reactive one. We want to inspire and lead people to be healthier, better human beings, not because they are afraid of, or trying to avoid getting sick, but because they want to be healthy and well, and want to get the most out of life!